When I was growing up, movie cameras were still very common, but even then the older ones were very cheap. I could pick up a decent standard-8mm for almost nothing because everyone was using the newer Super 8 cartridge machines that required batteries. I never got seriously interested in movie cameras. I thought they were fun because they could be wound up and they "ran," and in theory they were capable of neat stuff. But the film was expensive (especially for a kid), the processing was expensive, and I rapidly got sick of jerky movies with tons of light leaks that edited down (if you were so inclined) from 5 minutes down to about 10 seconds of usable material. My father had a nice Keystone so he shot most everything that was worth keeping. Then of course videotape came in, and people dumped their movie cameras virtually overnight. Now you can't even give these things away (that's not quite true. The high end Bolexes won't languish). It's the same thing now with VHS camcorders. The thrift shops are full of these monsters which were very expensive once upon a time, but now they're just high-tech boat anchors. A couple technical notes for people who are too young to have used these beasts: most consumer cameras made between the depression and the 1960s were spring-driven. There was a hand crank (or equivalent) on the side. You'd wind the spring up until it was taut, then the camera would run as long as you held the button down and the spring had tension. How long the camera could run on one wind would vary between models, but between 30 seconds and 1 minute sounds reasonable to me. It wasn't until the 1970s when battery-driven cameras became the norm. There were two major consumer-level formats: 8mm and Super 8 (16mm was very expensive and used by serious-amateurs or affluent hobbyists). 8mm was big up to the 1960s. Super 8 ruled the 1970s. The latter used cartridges, but the former was typically sold by the spool in 50-foot lengths. The spool hand to be threaded in the camera and hooked up to a take-up spool, which was slightly more complicated than loading a 35mm camera, and a little less reliable. The film was double-wide, so you'd load the camera, shoot one side of the film, then open the camera and flip over the spool, rethread it, and shoot the second side. When both sides were exposed,you'd send it in for processing. The lab would develop the film, then cut it in half lengthwise, splice them together and give it back on one 50' 8mm reel. Super-8 cartridges did not have to be flipped. 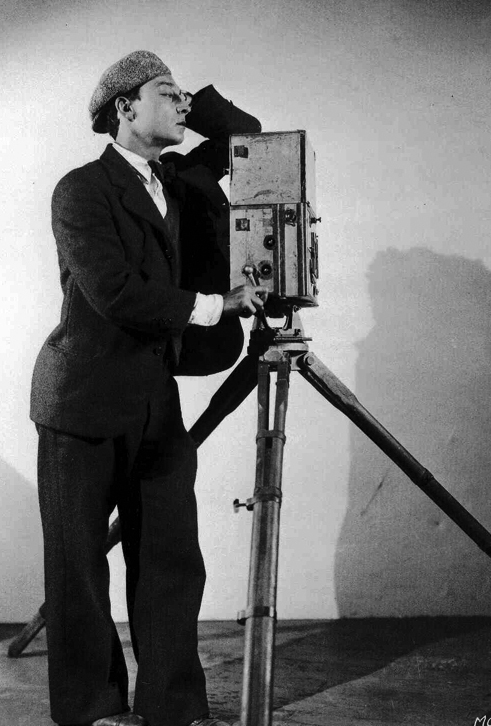 There were a number of popular makes: most specialized in movie gear and only dabbled in still-cameras. In the USA, Bolex was the advanced-amateur make of choice, Bell & Howell, Revere/Wollensak and Keystone covered the middle-class, and Kodak and Ansco (later GAF) serviced the low-end. In the late 1970s the Japanese makes, particularly Canon, moved in with quality Super-8 machines, until videotape killed the market in the early 1980s. 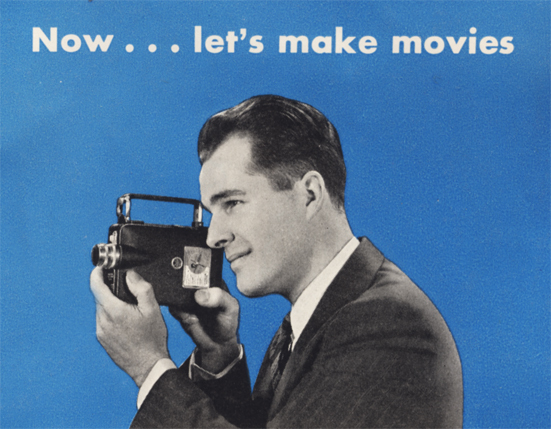 A List of Vintage Movie Cameras, Projectors, etc.